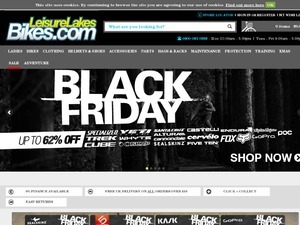 Leisure Lakes Bikes stock the biggest cycle brands on our online bike store. Buy mountain bikes, road bikes, parts, accessories &amp; cycle clothing online with FREE delivery! Offer condition: Excludes: bikes, forks, frames, GPS, computers, cameras, gift vouchers, sale items, VIP. Do not miss another Leisure Lakes Bikes voucher! Simply leave your e-mail address and we'll always keep you informed of new vouchers for Leisure Lakes Bikes. Offer condition: can not be used in conjunction with reward points redemption, trading in a bike, halfords or cycle to work scheme vouchers or finance payments. Halloween - SCARY10 - Save an extra 10% on all Clothing until 31/10/18 23:59! Offer condition: Expires 31/10/18 23:59 10% Off All Clothing. Offer condition: Voucher codes expire on Monday 18th June @ 11:59pm. Can only be redeemed at time of purchase. Can not be used in conjunction with reward points redemption. Get wrapped up early with money off your next order! Save £20 when you spend over £200! Get wrapped up early with money off your next order! Save £15 when you spend over £150! Get wrapped up early with money off your next order! Save £10 when you spend over £100! Get wrapped up early with money off your next order! Save £5 when you spend over £50! Cyber Monday is here! Get ready for Christmas with great deals all week. 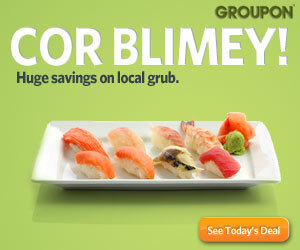 Offer condition: Voucher code excludes bikes. Use of Voucher code with a bike will void your Reward Points. Voucher codes can only be redeemed at time of purchase. Can not be used in conjunction with reward points redemption, trading in a bike, halfords or cycle to work scheme vouchers. Black Friday has begun! Hurry, all deals end Sunday 26th November! Offer condition: Excludes bikes, forks, frames, GPS and cameras. Latest voucher code valid at a time of promo publication was entered to be working from 2019-04-16.